If you have any questions about the DANIELLA information page below please contact us. Coming from the Lloyds Ships Holdings yard in Australia the DANIELLA is 34 m 110 (ft) in length. 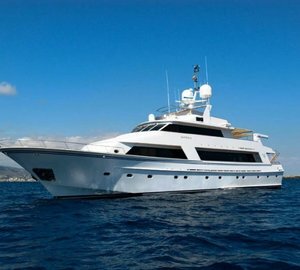 Superyacht DANIELLA can accommodate up to 8 passengers with 5 professional crew. The old, former or build project names are Mirage Iii; Vagasto. She will reach a high speed of 14 knots. Fratelli Benetti Yacht Design was the naval architect involved in the formal vessel plans for DANIELLA. Also the company Fratelli Benetti and Lloyds successfully worked on this undertaking. In 1987 she was actually launched to accolade in Brisbane and post sea trials and detailing was then passed on to the yacht owner. Lloyds Ships Holdings completed their new build motor yacht in Australia. A reasonable area is brought about with a total beam (width) of 7.62 m / 25 ft. With a 2.29m (7.5ft) draught (maximum depth) she is fairly shallow. The material aluminium was used in the building of the hull of the motor yacht. Her superstructure over the hull is fashioned with the use of aluminium. The 8V 396 TC82 engine powering the yacht is made by MTU. Her propulsion units are twin screw propellers. The main engine of the ship generates 906 horse power (or 667 kilowatts). She is fitted with 2 engines. The total thrust for the boat is thus 1812 HP / 1333 KW. Offering cabins for a maximum of 8 yacht guests staying on board, the DANIELLA accommodates everyone in luxury. The boat has room for approx 5 able yacht crew to run. 33.5 metres / 109.9 feet. Total engine power output 1812 HP /1333 KW. 3000 at a speed of 12 knots. DANIELLA features a teak deck. 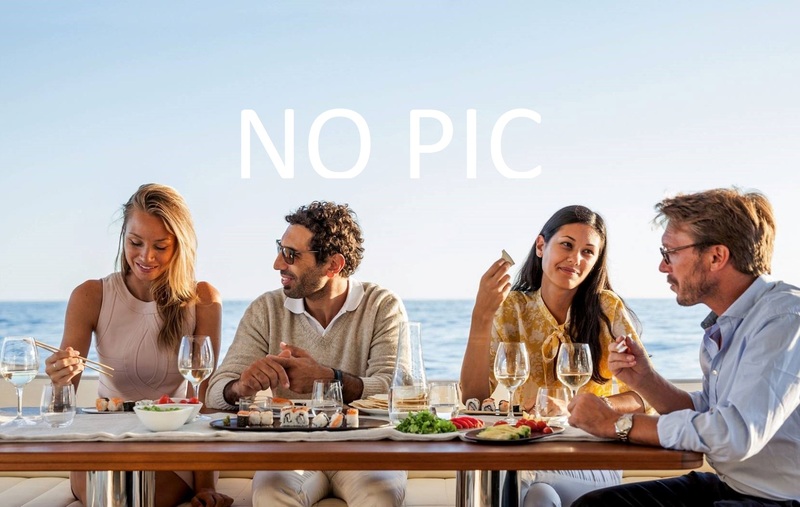 The luxury yacht DANIELLA displayed on this page is merely informational and she is not necessarily available for yacht charter or for sale, nor is she represented or marketed in anyway by CharterWorld. This web page and the superyacht information contained herein is not contractual. All yacht specifications and informations are displayed in good faith but CharterWorld does not warrant or assume any legal liability or responsibility for the current accuracy, completeness, validity, or usefulness of any superyacht information and/or images displayed. All boat information is subject to change without prior notice and may not be current.